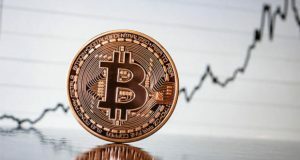 Virtual currencies have generated a new number of investors ready to gain exposure to one of the most volatile markets. According to a research conducted by deVere Group, 35% of high net worth individuals have already exposure to the cryptocurrency market or they will have before the end of this year. DeVere Group is an important financial consulting firm, which recently added Bitcoin Cash (BCH) and EOS to its platform. There is a growing demand from wealthier individuals to invest in this volatile market. This survey shows and demonstrates that these wealthy investors are not able to ignore the potential of cryptocurrencies in the economic and financial world. There are several important investors that are searching a way to enter the market. But sometimes this is quite difficult. There are just a few specific platforms developed for them and most of the existing ones are not fully regulated. We can mention some wealthy individuals like Bill Miller or Michael Novogratz that decided to enter the market some time ago. Both of them have different positions in Bitcoin and other virtual currencies and different projects involving blockchain or crypto investments. Since the beginning of the year, cryptocurrencies are in a bear market from which they cannot recover yet. Bitcoin and most of the virtual currencies lost between 50% and 70% since their all time highs – if not more. At the moment of writing this article, Bitcoin is being traded around $7,700 dollars and it is increasing 1.4% in the last 24 hours. Most of the top 100 virtual currencies are also operating in the green zone, just a few are registering moderated loses (none of them from the top 50 cryptocurrencies by market capitalization).